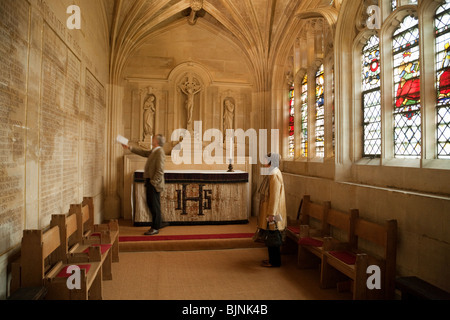 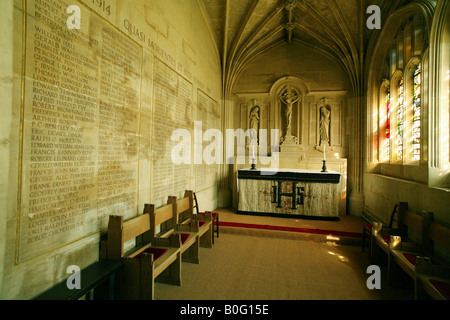 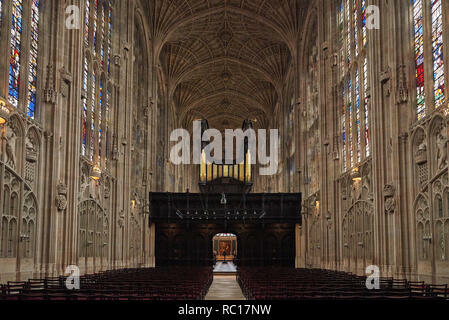 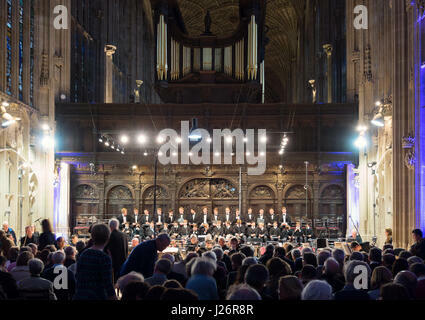 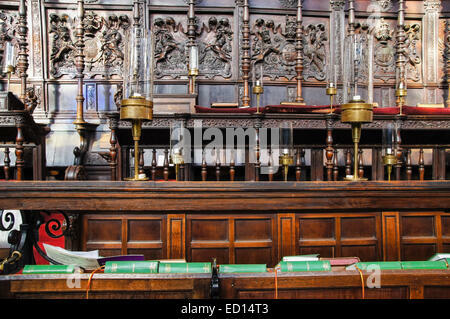 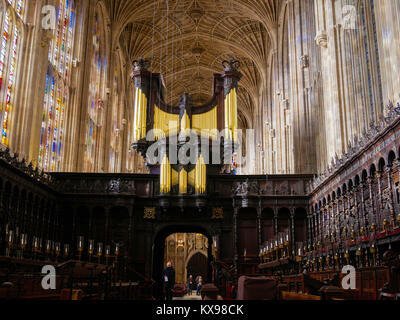 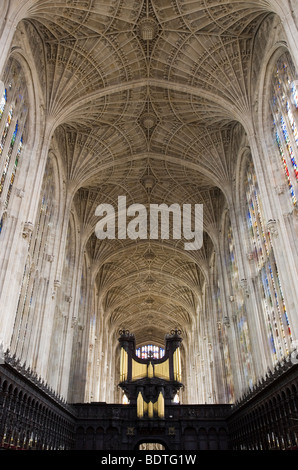 The Interior of King's College Chapel in the University of Cambridge. 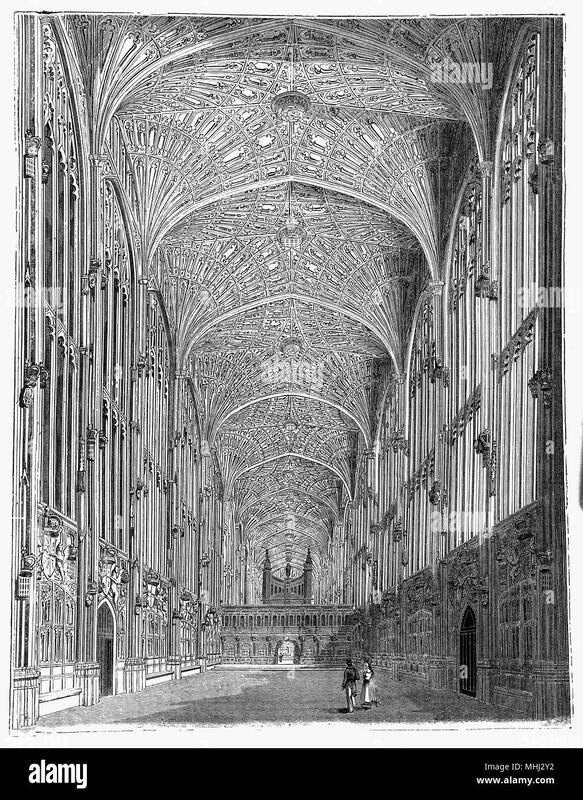 Considered to be one of the finest examples of late Perpendicular Gothic English architecture, it was built in phases by a succession of kings of England from 1446 to 1515, a period which spanned the Wars of the Roses. 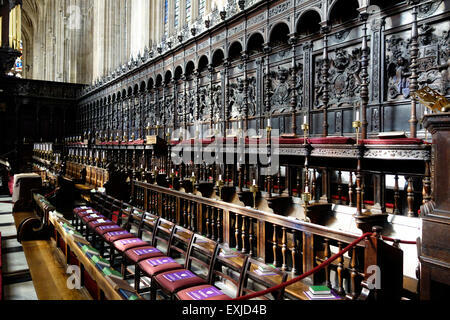 The chapel's large stained glass windows were not completed until 1531, and its early Renaissance rood screen was erected in 1532–36. 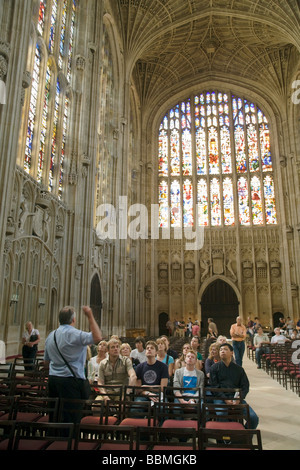 The chapel is an active house of worship, and home of the King's College Choir. 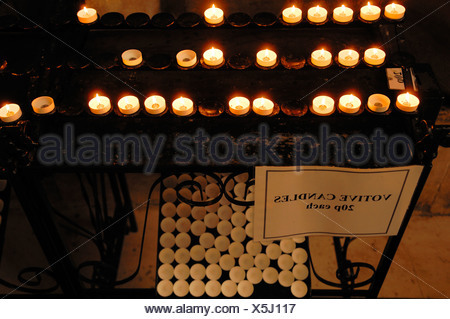 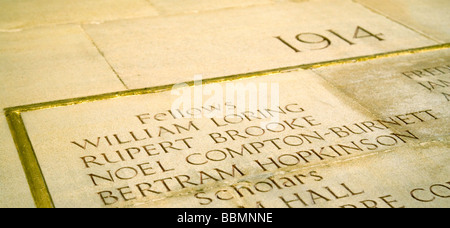 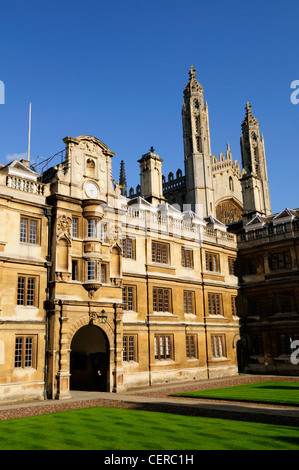 Location: University of Cambridge, Cambridgeshire, England.